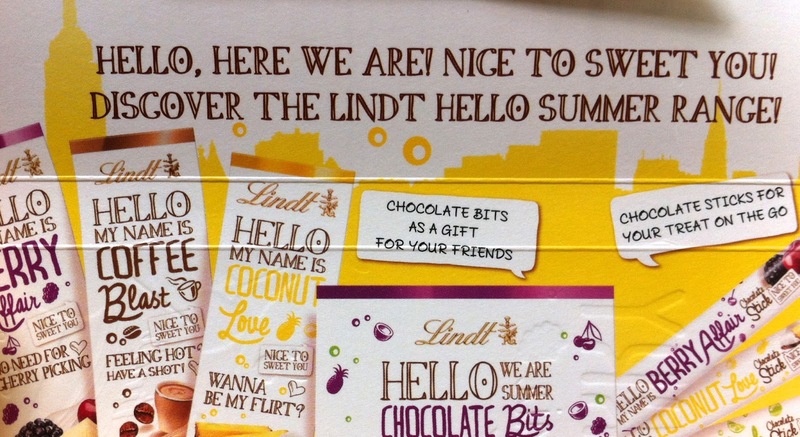 Lindt has released a new line of candy bars with whimsical packaging and esoteric flavors. It's called the "Hello Summer" line but I'm just discovering them now. The first one I picked up was the Berry Affair candy bar consisting of white chocolate with a cherry and blackberry yogurt filling. I really like Lindt's white chocolate- totally melty without that yucky waxy consistency. The cherry and blackberry yogurt filling is great! A tiny bit of tart mixed with a really nice berry flavor and just enough crunch of blackberry seeds to give the bar more substance. Unfortunately, the combo of white chocolate and yogurt filling is too sweet overall. Perhaps a dark chocolate exterior would have balanced the sweet filling a little better? 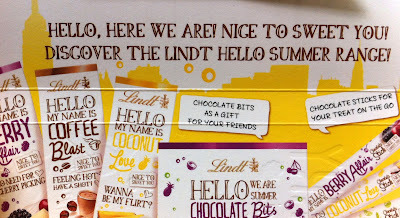 I think that Lindt is really onto something good with this bar- it just needs to be tweaked a little. I'm excited to taste test more from this new line.